English Solutions Vancouver provides tutoring in French in addition to our English tutoring services in Vancouver. Our French lessons and French tutoring in Vancouver are for kids, teens and adults. Kathy obtained her BA in French Literature and her PDP teaching Certificate from Simon Fraser University in Core French. Kathy has had extensive experience teaching K-3 French Immersion and K-12 Core French to students. Kathy possesses a wealth of teaching materials which she has ordered from Quebec and France, independent from what the school districts offer and she uses a variety of engaging techniques ranging from dialogues to DVD videos, songs, games, art, and puzzles to keep students engaged in subject matter. She uses an integrated teaching approach to teach language; in other words, she teaches grammar, listening, speaking, reading and writing. She will work on things like pronunciation, memorization of common sentences and expressions, and help with getting the courage to speak out loud. Given the fact that we live in Western Canada, the general attitude of students to learning French isn’t very positive and students do not have ample opportunity to use and practice the language. Kathy has had a very high success rate in helping students who have disliked French obtain high scores at school and has restored their interest in learning language by her methods. The parents of young children enrolled in French Immersion sometimes (given the parents’ ability in French) cannot help their children with their homework or test preparation so Kathy helps families by the services she offers. Some other ideas for improving your French can be found in this blog post about The Best Way to Study French for Speaking. 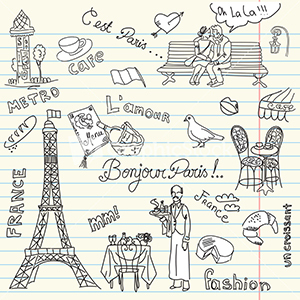 French Tutoring – What’s Covered? French tutoring rates from $50 an hour + GST. Our French tutoring service areas include Vancouver, North Vancouver, West Vancouver, Richmond and Burnaby, BC. We also offer corporate training in English for adults, English tutoring services for kids, and tutoring for special needs children.